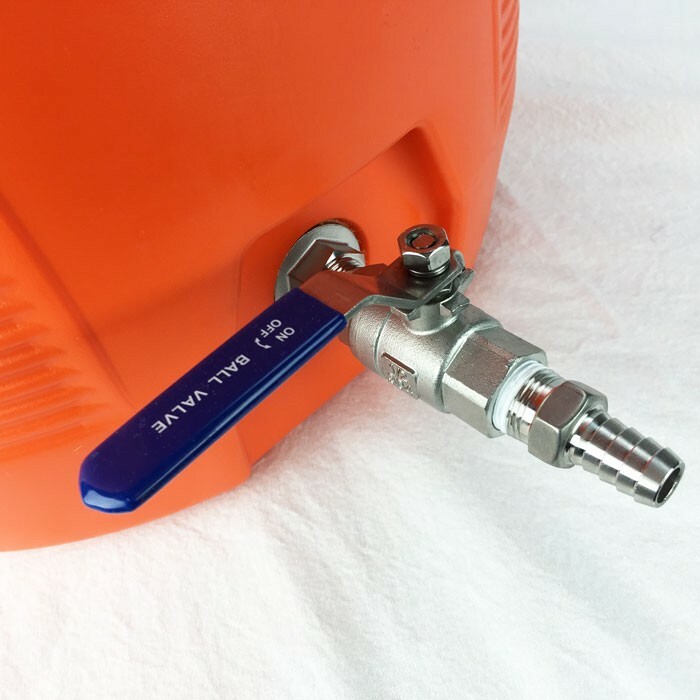 Do you have a kettle or cooler but would like the ease and convenience of using a ball valve to easily drain liquid? Do you have a kettle or cooler but would like the ease and convenience of using a ball valve to easily drain liquid? Are you a Do It Yourself Type person? At a fraction of the cost of having a spigot welded into your kettle you can drill a whole and install a weldless ball valve. The problem with most weldless fittings is they are thrown together from assorted hardware. 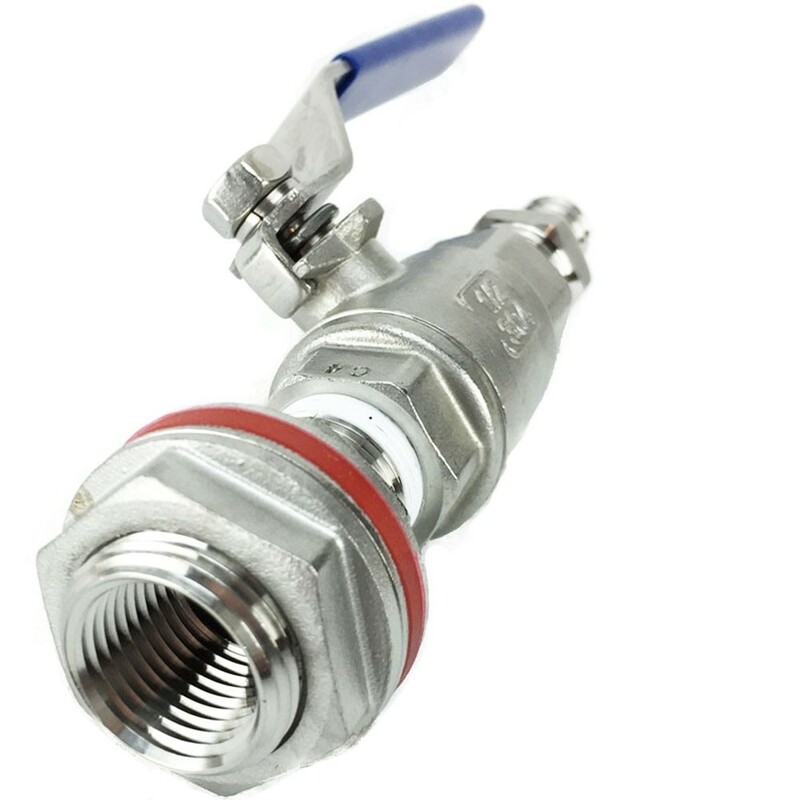 Common issues include leaking and lots of flex when you use the ball valve. 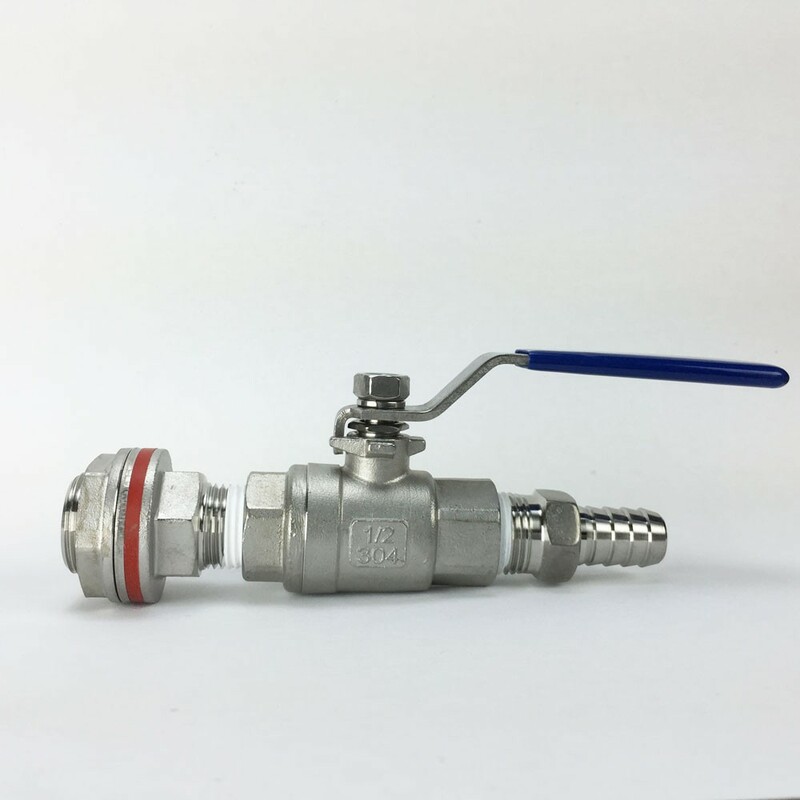 These new weldless fittings feature are designed for brewing. There is no comparison to the weldless fittings of yesterday with their rock-solid feel and a solid leak free connection. This unit is also unique in that it feature 1/2" female threads on the inside. This allows you to thread in various other fittings that you can see below. Want to later make a mashtun... no problem just thread in our stainless screen. This allows for unlimited flexibility. Weldless kit includes a 1/2" Full Port ball valve and a 1/2" barb. All fittings are made from 304 type stainless steel for a lifetime of corrosion free use. Full installation directions included. This product replaces our WL101. Manufactured by Fermentap. You will need to drill a 1" hole in your kettle for installation of this weldless spigot. We recommend a Step Drill Bit for this.